'Outlander' Reunion Episode First Look: Jamie and Claire Together at Last! Your patience will soon be rewarded, Outlander fans. Starz announced Monday that the eagerly awaited Season 3 "reunion" episode that finds Claire (Caitriona Balfe) and Jamie (Sam Heughan) finally getting back together will air Oct. 22 at 8/7c as a special, extended 74-minute episode. This will be the first time that fans get to see the pair together again after being separated for 20 years. 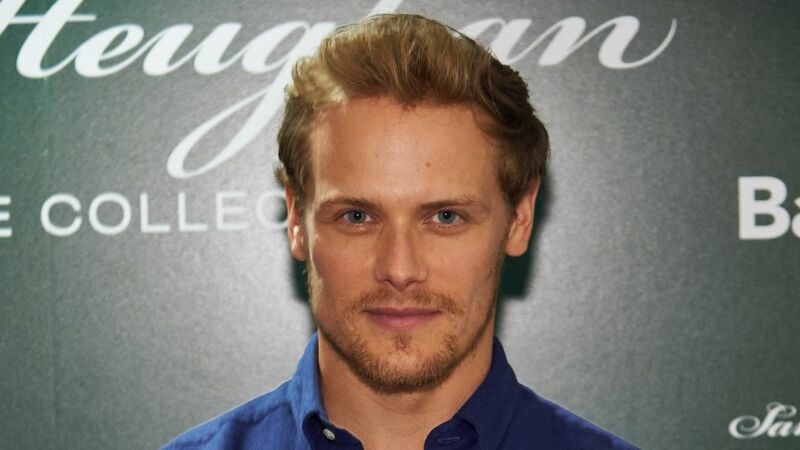 The official plot synopsis from Starz for this sixth episode of the drama's third season, entitled "A. Malcolm," states that, "After decades apart, Jamie and Claire finally reunite and rekindle their emotional and physical bonds. But Jamie’s new business dealings jeopardize the couples’ hopes for a simple life together." If Oct. 22 still seems far off to wait for this epic reunion, Starz also released this first-look image of the couple together to get you ready! Along with the photo, Starz added to the anticipation with this teaser video of the episode that indeed shows the two "rekindling their emotional and physical bonds." It's a 30-second clip where Jamie and Claire don't say too much, but it's clear from their expressions and their touch that the moment doesn't need a lot of words. Jamie and Claire's reunion airs in the special, extended "A. Malcolm" episode of Outlander Sunday, Oct. 22, at 8/7c on Starz. If you need to catch up on previous Outlander Season 3 episodes, Starz will air a marathon of the first five episodes on Oct. 15 starting at 5/4c.